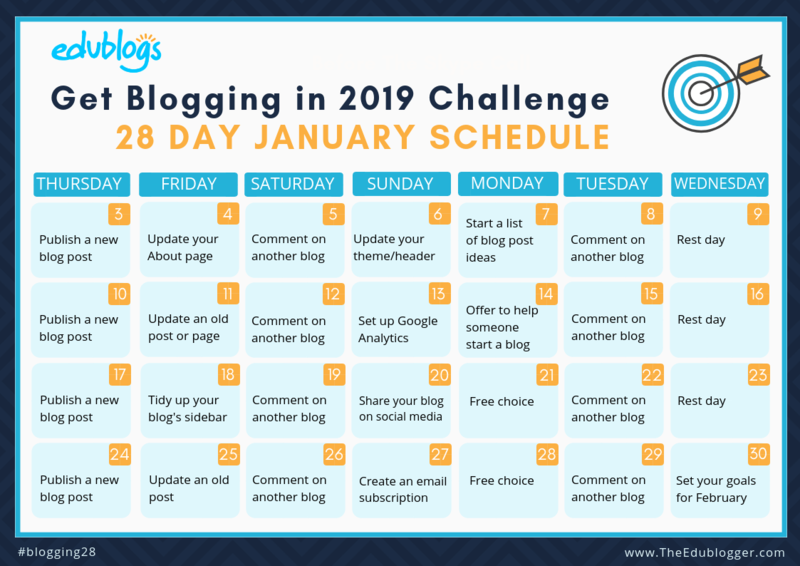 From this idea Kathleen developed a 28-Day Blogging Challenge! It’s a realistic, bite-sized blogging plan made up of actionable activities you can complete over four weeks! 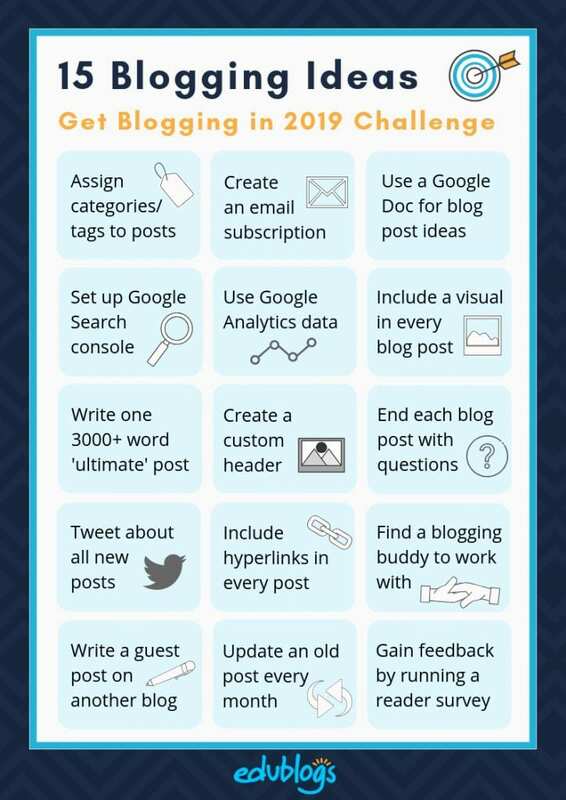 I’m a strong believer of the benefits of challenge based activities, especially if you’re able to participate within a team environment, as Darren Rowse’s 31 Days To Build A Better Blog, which I completed in 2007 is part of the reason as to how I became the Support manager for Edublogs and CampusPress. The experience gained from participating in Darren’s 31 Days Project helped developed the Teacher Challenge Courses and Student blogging Challenges. Read My Blogging Story: Part II to learn how blogging has been life changing for me. The best part of these types of challenges is you can adapt to your own goals and needs! Today I’ve achieved my first goal of publishing a new post and fixed up my email subscription. If you are new to blogging you’ll find ideas for publishing posts and writing better blog posts here! Here is where you’ll find information on setting up your blog. If you have a blog it is a good idea to offer readers a way to subscribe to new posts via email. Increasingly readers are accessing content they read from social media however there are still readers who prefer notification by email. This allows readers to receive notification via email each time a post is published. 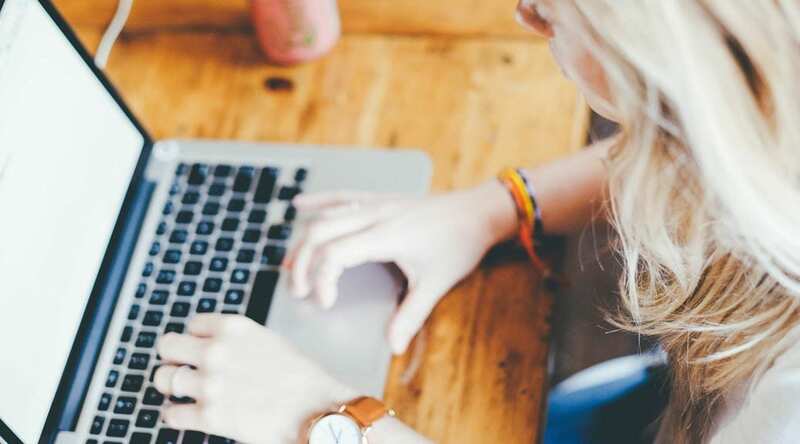 Here’s how you set up email subscription on Edublogs and CampusPress blogs. Will you be undertaking the challenge? Would love to hear what you would like to achieve from the challenge. Remember to leave a comment on Kathleen’s post with your blog URL so the other challenge participants can visit your blog. It’s nice to see you taking the challenge too, Sue. You are being a good resource-sharing role model, as usual. It was your first teacher challenge “30 Days to Kick Start Your Blogging” that got me going on blogging a couple of years after your challenge with Darren. Thanks for all your support and encouragement over the years. That first “30 Days to Kick Start Your Blogging” made such a difference to so many educators! Looking forward to working through the challenge with you. I will also try to work on the challanges and post about my ideas about education in my blog. That is one way to develop skills.